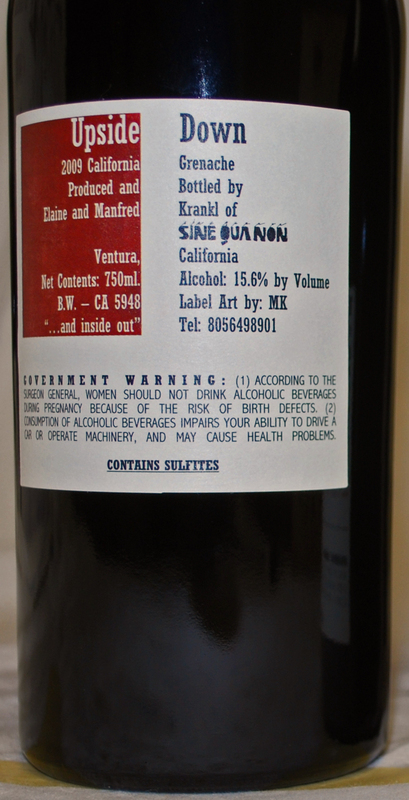 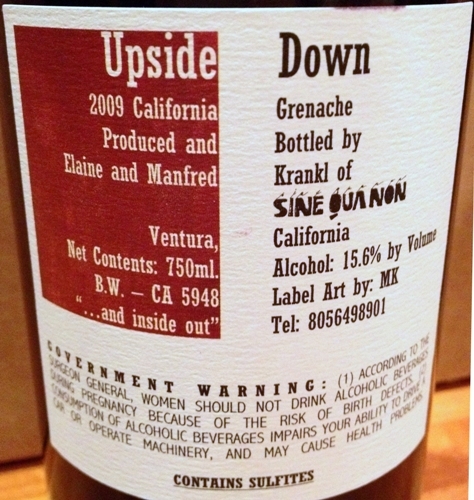 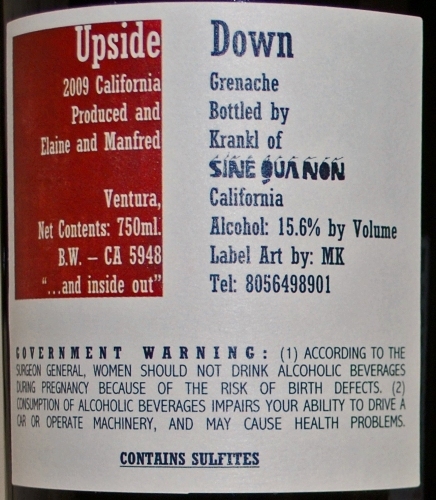 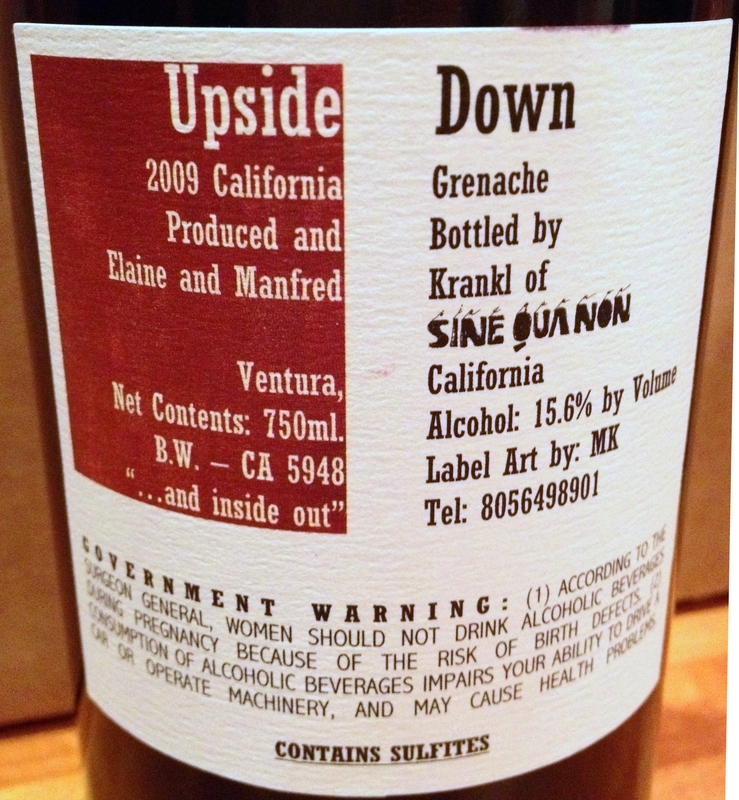 84% Grenache, 11% Syrah, 5% Mourvedre. 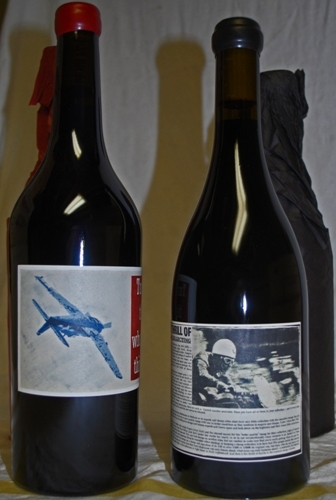 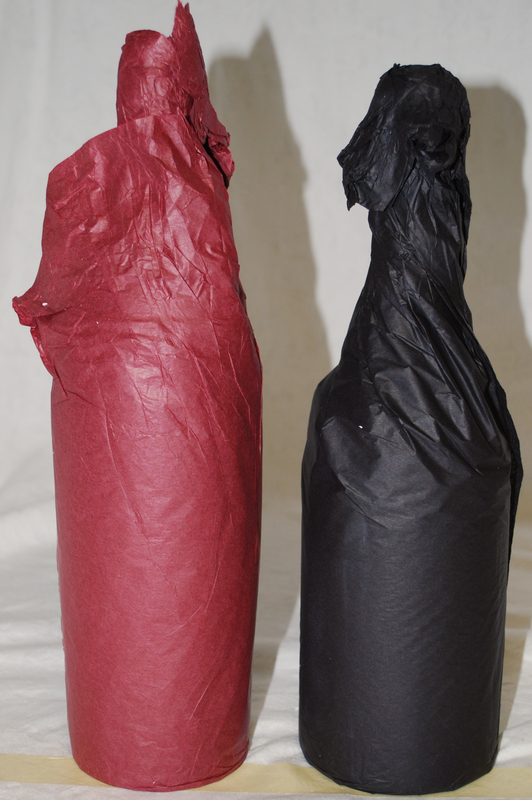 The 2009 Turn the Whole Thing Upside Down (left, redish tissue paper) Grenache was part of the same offer and shipment as the 2009 Thrill of Stamp Collecting Syrah (right, black tissue paper). 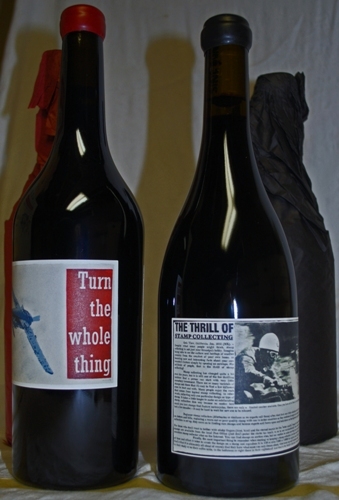 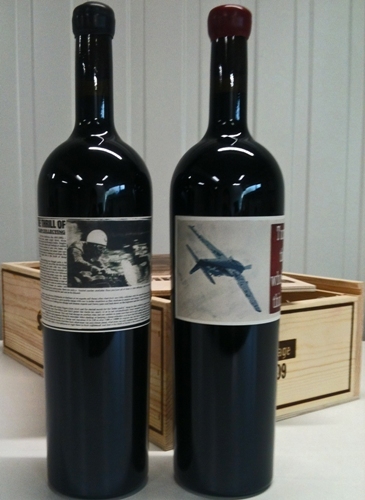 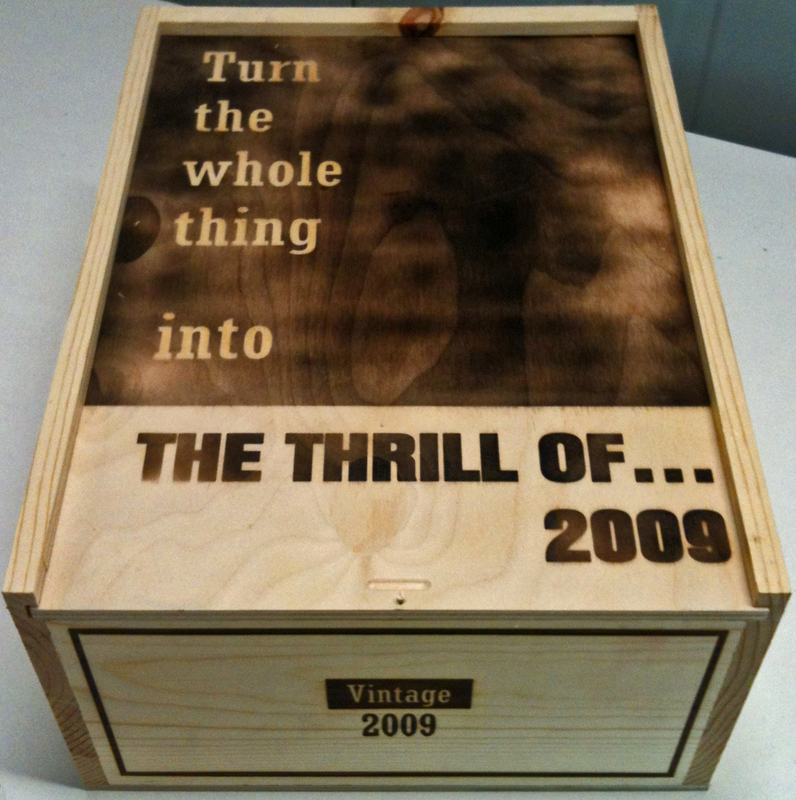 Magnums of 2009 Turn the Whole Thing Upside Down Grenache (right) and 2009 Thrill of Stamp Collecting Syrah (left) were sold in pairs of one each in a wood box.